Time for Whisky.com: Tasted #63: Australia Day Special - Heartwood "Release the Beast"
Tasted #63: Australia Day Special - Heartwood "Release the Beast"
Given the proliferation of excellent whisky we have on our shores, I figured today's tasting had to be an Australian whisky, and what better than one from Heartwood Whisky? Fans of Australian whisky might be familiar with Heartwood, but for those who aren't, think of them as an Australian independent bottler, who only deal in (high) cask strength, high-quality whiskies. Without going into too much detail (given this is a "Tasted" post), Heartwood currently have 10,000+ litres of Australian whisky maturing away. A lot of it is from Lark Distillery (where Tim who runs Heartwood also sits on the board), but some of it comes from other Australian distilleries too, such as Tasmania Distillery. When Heartwood decide the whisky is ready they release it at cask-strength, which (due to the unique climate in Tasmania and cask storage conditions forcing the water to evaporate faster than the alcohol) often results in an ABV% higher than when the new make entered the barrel. Seems they have some tee-totalling angels in Tassie! Whilst some releases are bottled at a mental ABV% like 72.5% ("The Convict Redemption", an excellent dram by the way), this one here was bottled at a slightly less insane 65.4%, after maturing in two port barrels and being finished in an Australian Sherry (aka Apera) cask. The website states NAS, but I've heard this one is around 7 years old. 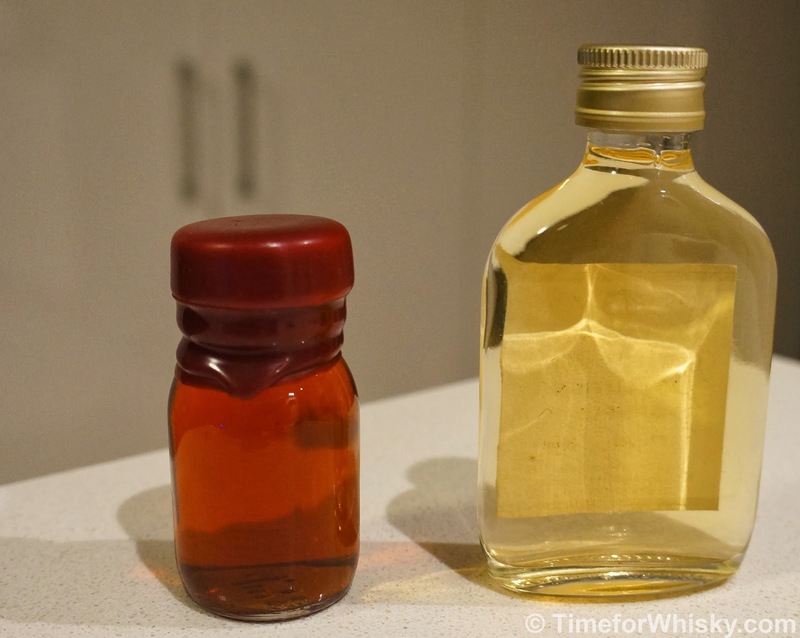 Heartwood on the left, a 40yo Glenrothes on the right. Colour: Deep, deep copper. Rich, red. One of the darkest whiskies I've tasted for the site. Nose: Big sherry hit at first - reminds me of the Kavalan Soloist which I tasted early last year. In addition to the obvious sherry notes, a fruity, nutty, sweet nose comes through. Complex and sweet. Palate: Big, clearly strong, but also incredibly smooth. Very, very drying. Hints of hazelnuts. But dry, so dry. Absolutely no burn though - a whisky that has been matured and cared for well. Finish: Still dry, with long berry notes. Hazelnut notes show through at the very end again. Rating (on my very non-scientific scale): 89/100. Not for the faint of heart (ha), but certainly not rough or unapproachable in any way. Incredibly smooth, reasonably complex and with some delicious notes. Try it with a drop of water and watch the flavours explode. All the Heartwoods I've tried have been excellent, and unique, so if you're a fan of different, interesting, quality Australian whisky, give them a look. Thanks to Cooper from singlema.lt for the sample.